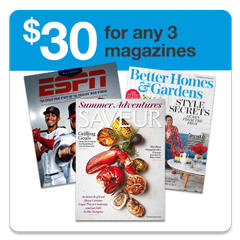 www.MagazineDeals.com - Discount Magazine Subscriptions at low and wholesale prices. Please read these Terms of Service ("Agreement", "Terms of Service") carefully before using MagazineDeals.com ("the Site") operated by MagazineDeals.com ("us", "we", or "our"). This Agreement sets forth the legally binding terms and conditions for your use of the Site at MagazineDeals.com. The Site and its original content, features and functionality are owned by MagazineDeals.com and are protected by international copyright, trademark, patent, trade secret and other intellectual property or proprietary rights laws. Our Site may contain links to third-party sites that are not owned or controlled by MagazineDeals.com. This Agreement (and any further rules, policies, or guidelines incorporated by reference) shall be governed and construed in accordance with the laws of Arizona, United States, without giving effect to any principles of conflicts of law. 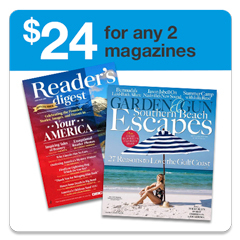 MagazineDeals.com is a subagent for the individual magazine publishers listed on our site. Please note, that MagazineDeals.com is not in any manner involved in the editorial, creation, printing, fulfillment or mailing of the magazines - this is the role of the publisher. 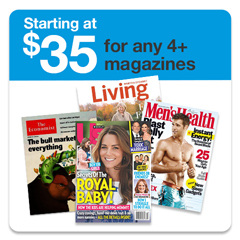 MagazineDeals.com's sole responsibility is limited to forwarding the subscriber's order to the correct publisher. If, for any reason whatsoever, MagazineDeals.com is unable to fulfill an order for a magazine subscription, its sole and total liability and obligation is limited to a refund for the actual money paid by its customer for the subscription. In the event that a magazine ceases publication, MagazineDeals.com is not responsible for providing an alternative publication. This is the sole obligation of the magazine publisher. The industry practice is to provide a substitute publication similar to the magazine that ceased publication.